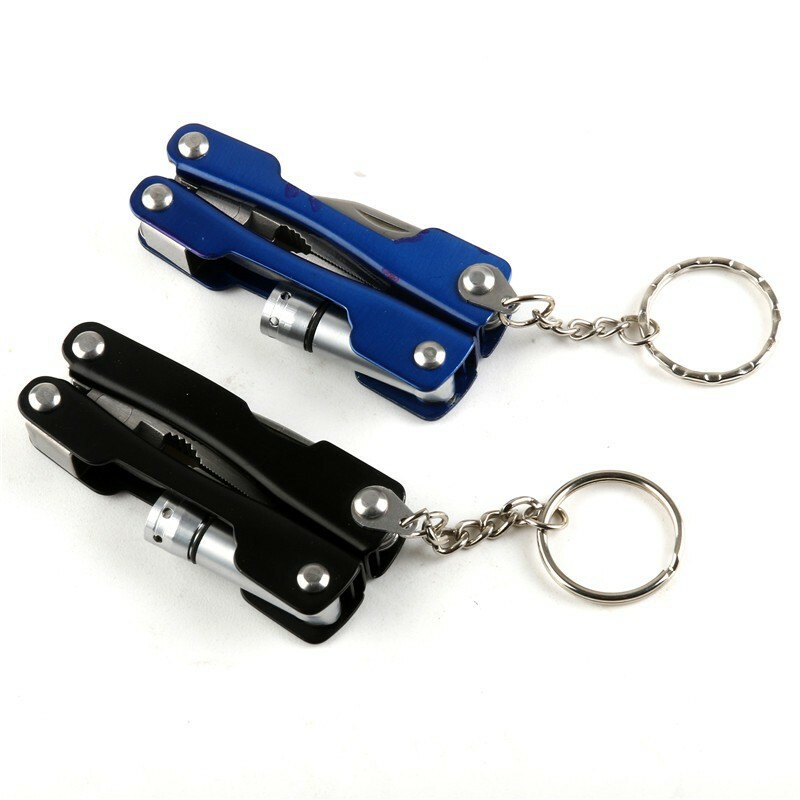 Blue color and black color packed randomly. 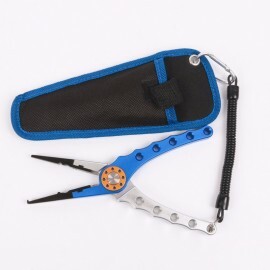 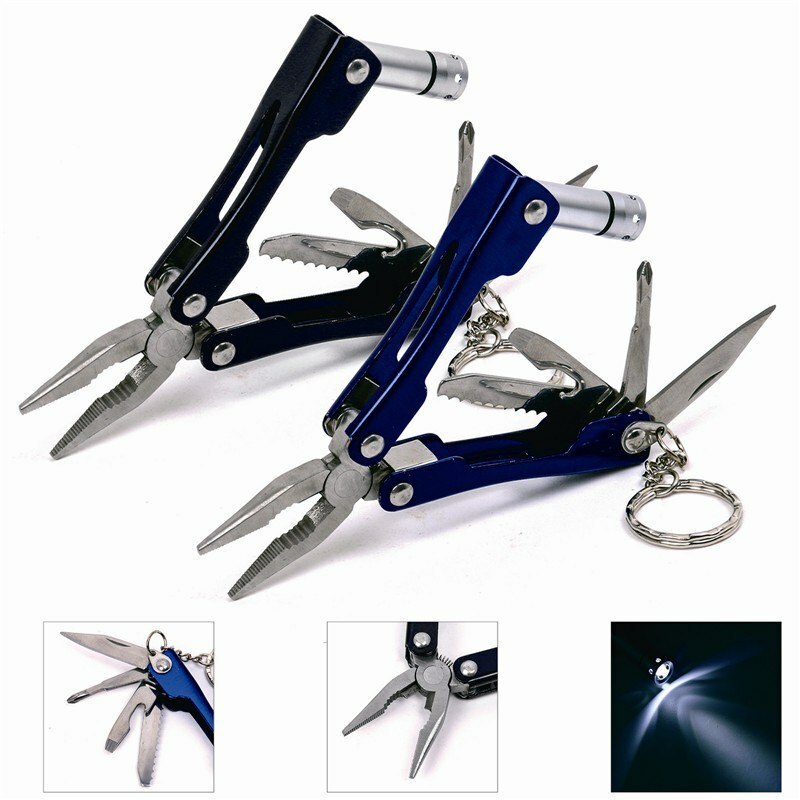 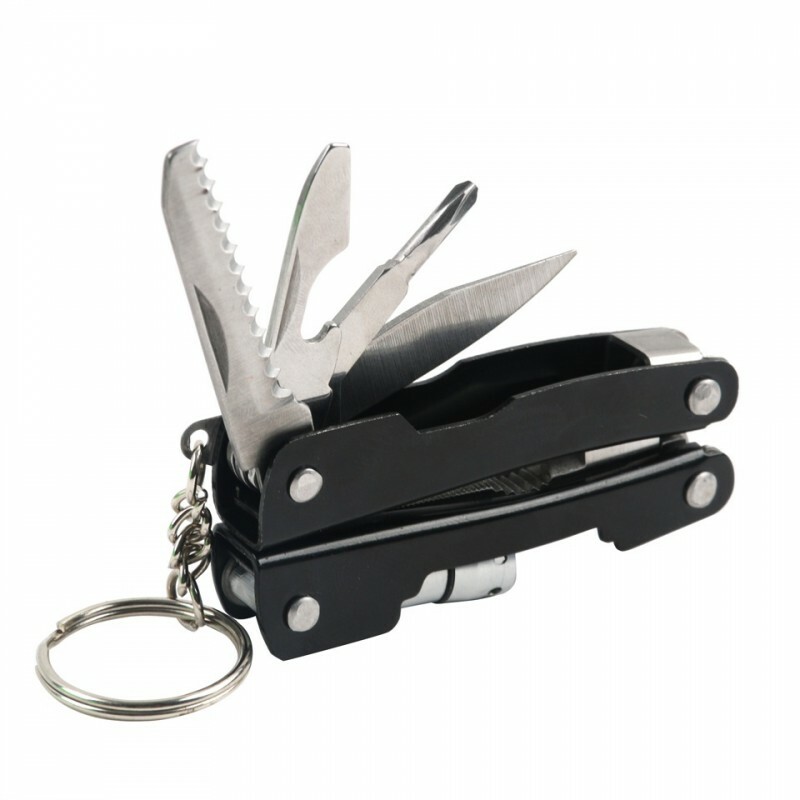 Multifunction design with pliers,bottle opener screwdriver,knife,etc. 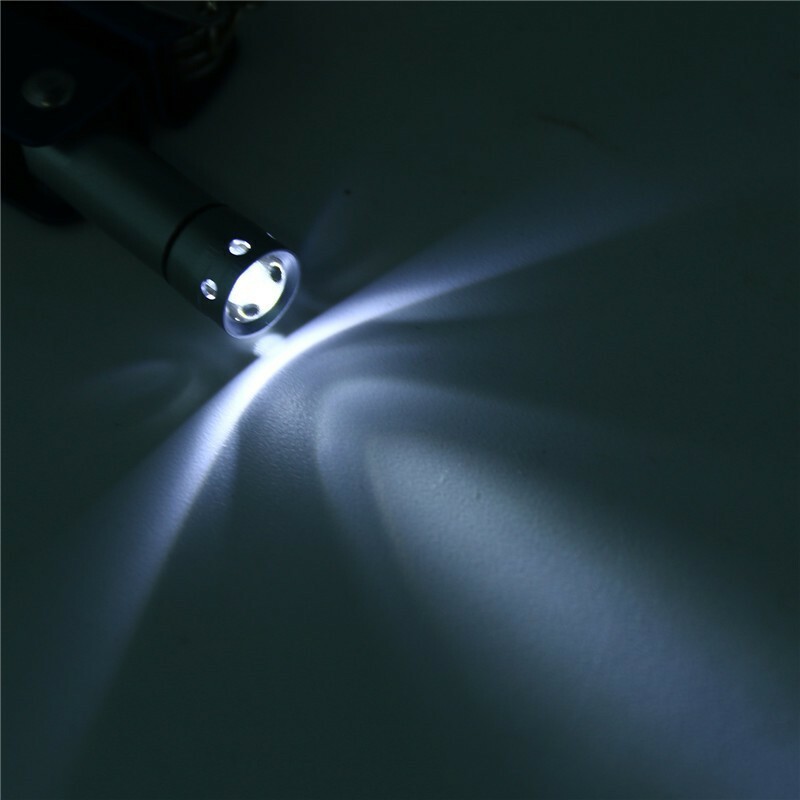 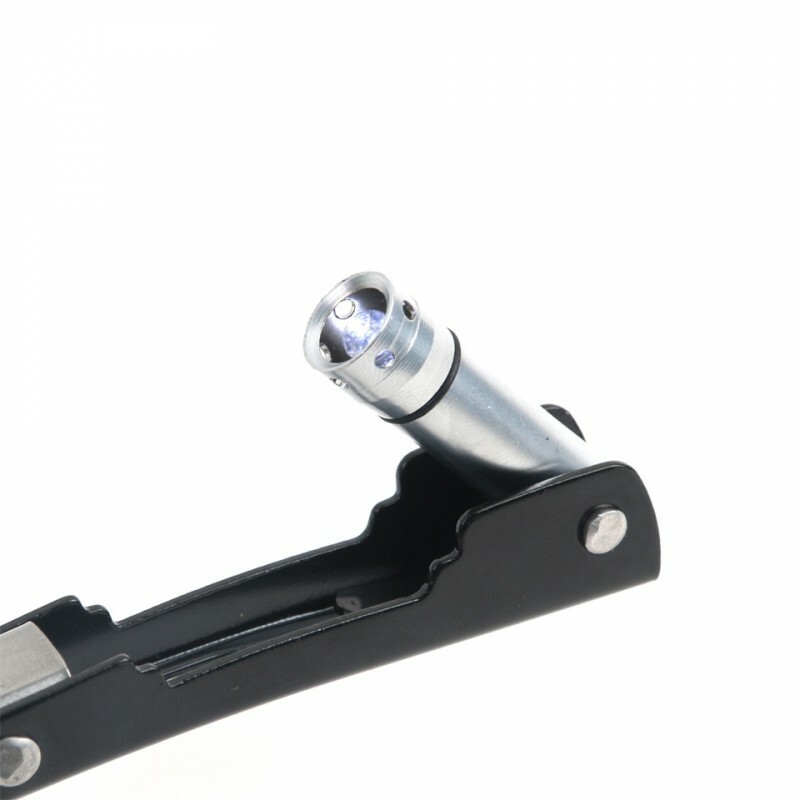 LED Flashlight function,fit for using at night. 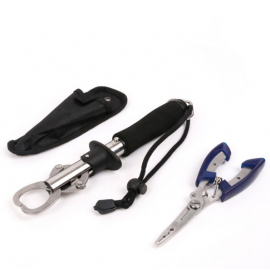 Potable and practical,convenient to use. 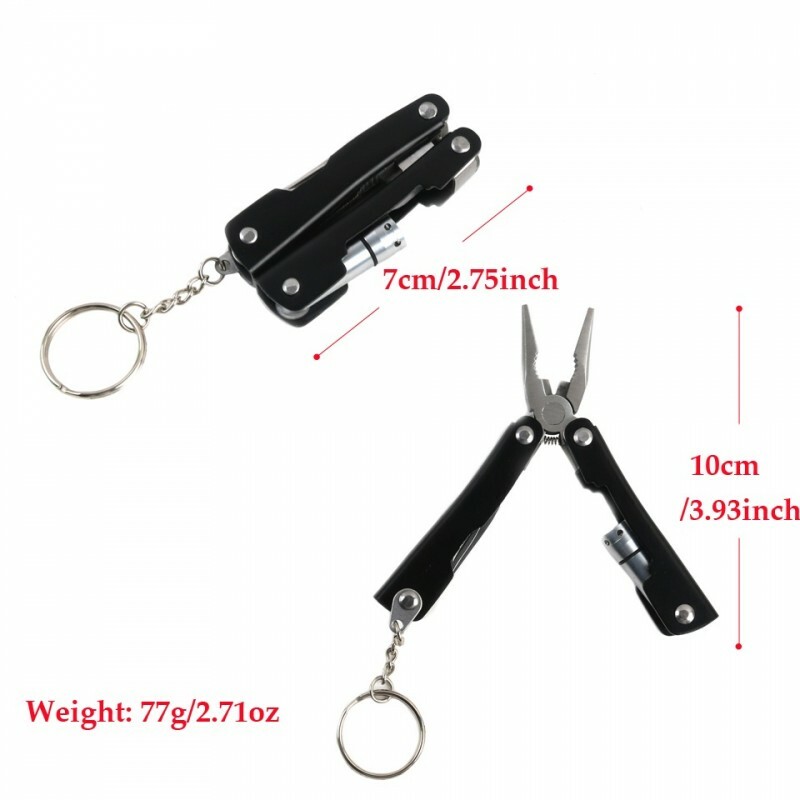 With a keychain hoop,easy to carry. 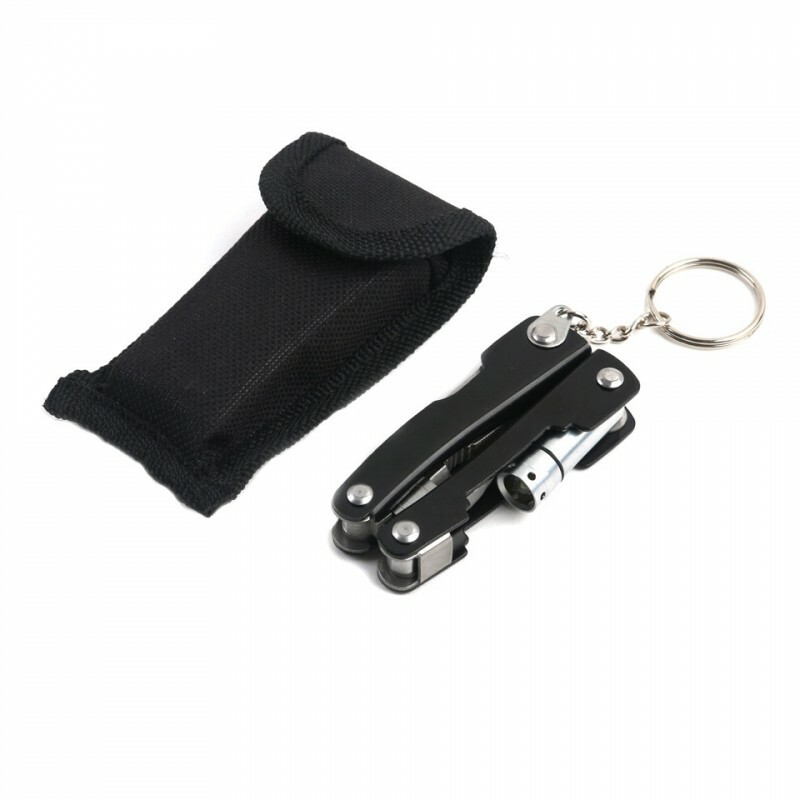 Stainless steel material,durable and firm.